In this new edition of the classic companion to Tales for the Perfect Child, Sergio Ruzzier lends his signature humor to Florence Parry Heide and Sylvia Worth Van Clief’s delectably subversive fables. Phoebe is always putting off until tomorrow what she should be doing today. And Chester is the laziest turkey you ever heard of. Caleb and Conrad, on the other hand, are polite and kind and thoughtful and gracious and truthful. But some good that does them! If the morals you find in these pages aren’t exactly, well, moral…just don’t pay any attention to them! 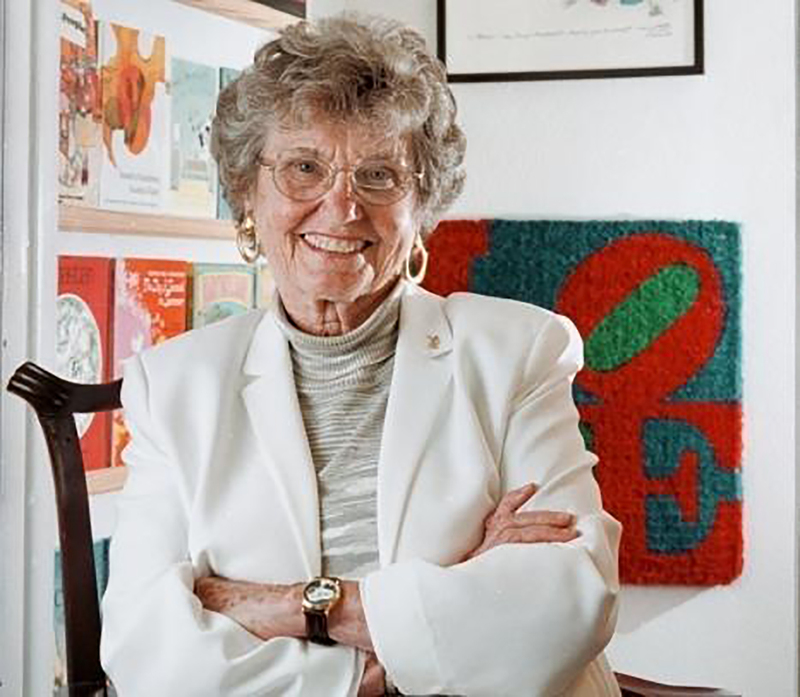 Florence Parry Heide (1919–2011) was the author of more than 100 children’s books, including picture books, juvenile novels, two series of young adult mysteries, plays, songbooks, and poetry. She may be best remembered for her now-classic The Shrinking of Treehorn and its two sequels, illustrated by the great Edward Gorey. Florence grew up in Punxsutawney, Pennsylvania, married during World War Two, and spent her adult life in Kenosha, Wisconsin, with her husband and five children, all of whom grew up listening to the joyful sounds of an old typewriter. Sylvia Worth Van Clief (1920–1974) collaborated with Florence Parry Heide on hundreds of songs for both children and adults, as well as many books, including a series of sports-themed young adult novels and several titles in the Spotlight Club Mystery series. Sergio Ruzzier is the author and illustrator of many children’s books, including Good Boy, This Is Not a Picture Book!, Bear and Bee, and Two Mice. He is the illustrator of Florence Parry Heide’s chapter books Tales for the Perfect Child and Fables You Shouldn’t Pay Any Attention To, and has created comic strips for Italian magazines Linus and Lupo Alberto Magazine. He has also done work for many national and international magazines and book publishers. His work has been awarded by American Illustration, The Society of Illustrators, Communication Arts, The Society of Publication Designers, and Parents’ Choice, and in 2011 he was awarded the Sendak Fellowship. Born in Italy, he lives in Brooklyn, New York. Visit Sergio at Ruzzier.com. "[These books have] gorgeous art and extremely simple but highly literary writing — the kind of writing that shows a young reader what an inner life can sound like.... These books let new readers know they have fully embarked on the journey to independent reading.... These ultrashort, ultrawitty tales of naughty children and badly behaving animals won a cult following when they first appeared in the 1980s, but went out of print. Now they’ve been reissued with wily new art by Sergio Ruzzier that perfectly suits their offbeat sensibility...it’s great to see [Heide's] dark, winking take on the eternal conflicts between children and parents sally forth for a new generation." – Maria Russo, The New York Times Book Review, December 2017, "Your Kid Just Learned to Read. What Books Come Next? 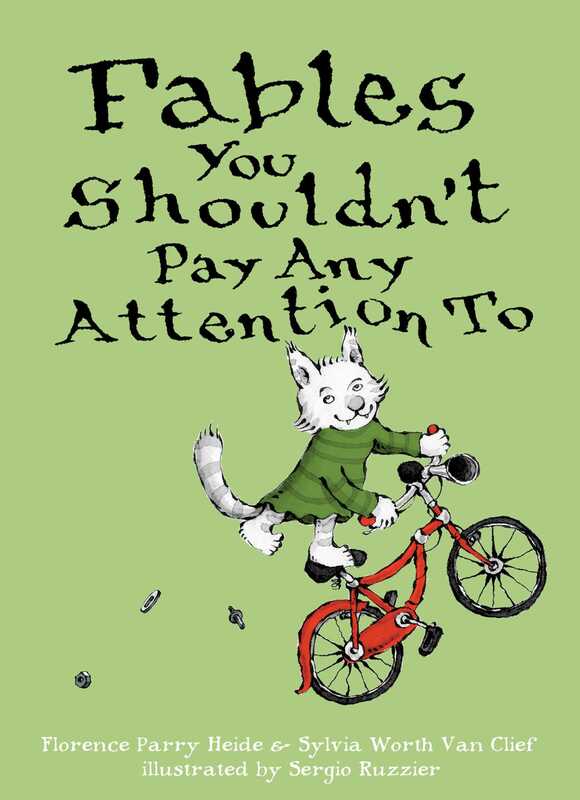 "These two cheeky collecitons of very brief stories feature realistically self-centered children or anthropomorphic animals with one thing in common: they know how to game the system and/or play adults.... These new editions are sized perfectly for a child's hands.... Ruzzier's interpretation here is entirely original, yet he is surely [Victoria] Chess's heir apparent: their work shares the same insouciance and subversiveness." "The title says it all in this updated edition...not to be shared with the faint of heart.... The oversized text and simple format is a comfortable mix of short and more complex sentences, appropriate for new readers looking for stronger vocabulary and a challenge. VERDICT: A tongue-in-cheek offering, best shared one-on-one with older readers who can appreciate sarcasm."